Scentsy Cocoa Espresso Mint Natural Oil Blend – A great perk-me-up! DARK CHOCOLATE and PEPPERMINT with a caffeinated kick of VANILLA. 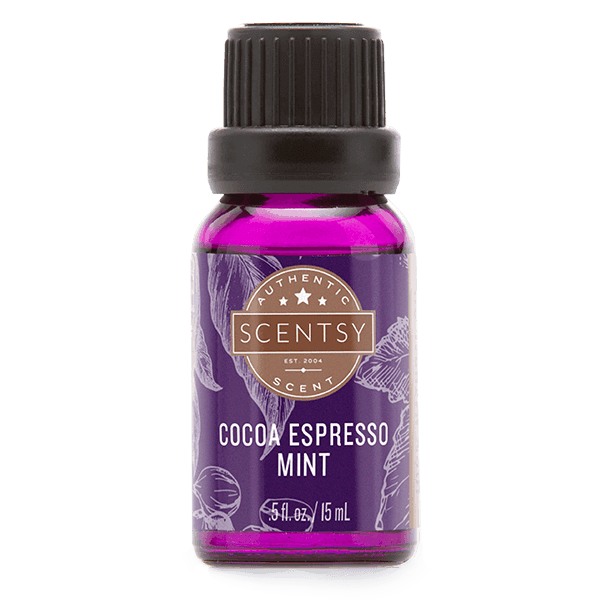 Scentsy Cocoa Espresso Mint Natural Oil Blend, Naturally derived ingredients and essential oils blended into premium, artisanal fragrance exclusive to Scentsy.